Shortlisted for the Man Booker International Prize! A young woman named Amanda lies dying in a rural hospital clinic. A boy named David sits beside her. She’s not his mother. He's not her child. Together, they tell a haunting story of broken souls, toxins, and the power and desperation of family. Fever Dream is a nightmare come to life, a ghost story for the real world, a love story and a cautionary tale. 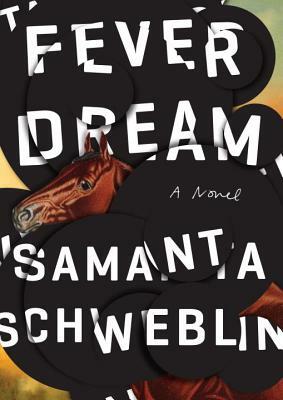 One of the freshest new voices to come out of the Spanish language and translated into English for the first time, Samanta Schweblin creates an aura of strange psychological menace and otherworldly reality in this absorbing, unsettling, taut novel. Samanta Schweblin was chosen as one of the 22 best writers in Spanish under the age of 35 by Granta. She is the author of three story collections that have won numerous awards, including the prestigious Juan Rulfo Story Prize, and been translated into 20 languages. Fever Dream is her first novel and is longlisted for the Man Booker International Prize. Originally from Buenos Aires, she lives in Berlin. Megan McDowell has translated books by many contemporary South American and Spanish authors, and her translations have been published in The New Yorker, Harper's, The Paris Review, McSweeney's, Words Without Borders, and Vice, among other publications. She lives in Chile.